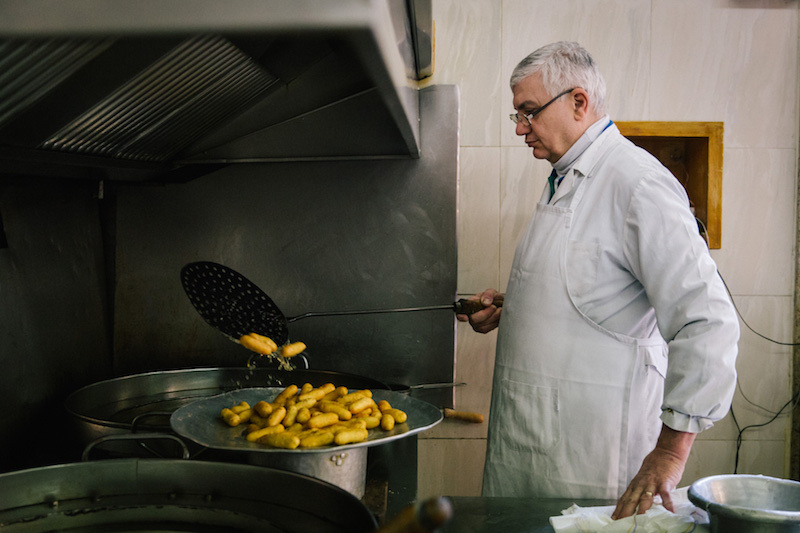 There’s a saying in Naples: “Anything fried is good, even the soles of shoes.” You may laugh, but we wholeheartedly agree – frying may have a bad rap in some parts of the world, but it can add a richness and flavor to any type of food (and, perhaps, even footwear). 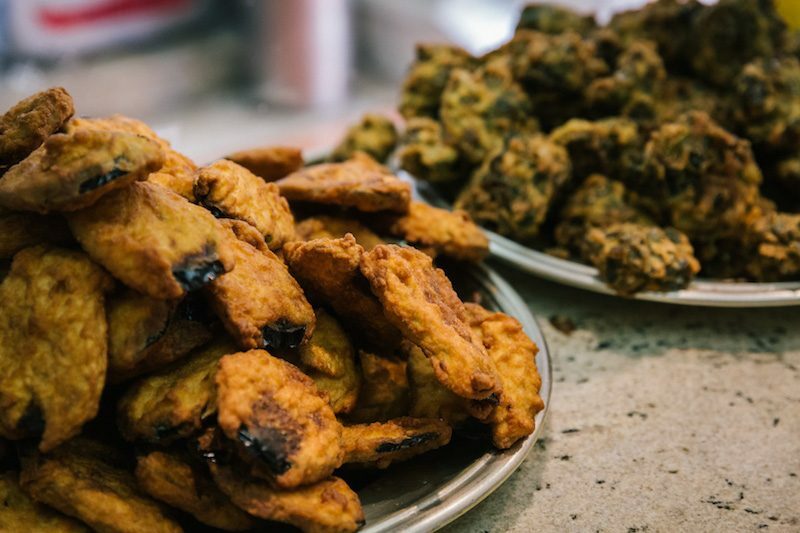 Think of a dull, bland zucchini or eggplant; when fried right, it becomes a pleasure. 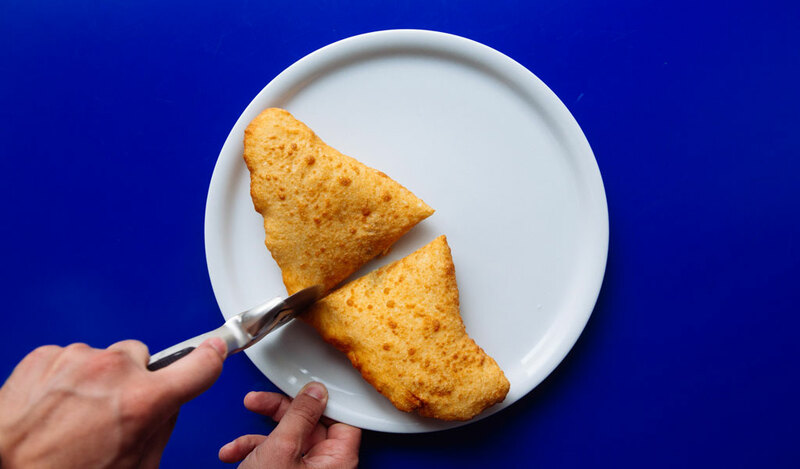 We normally get our fried fix by ordering a cuoppo, a paper cone filled with crispy morsels. 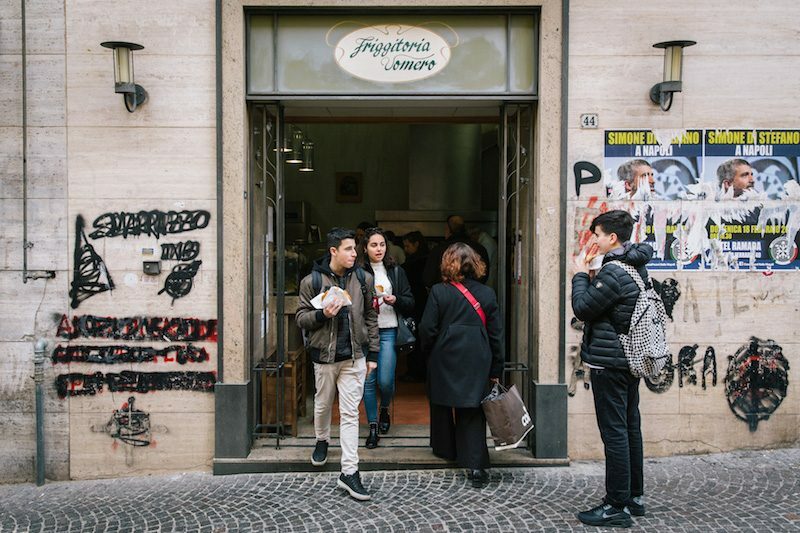 This symbol of Neapolitan fried street food is our typical mid-morning snack – while going about our morning errands, we munch on the small bites of fried deliciousness that are swaddled in the plain brown paper. 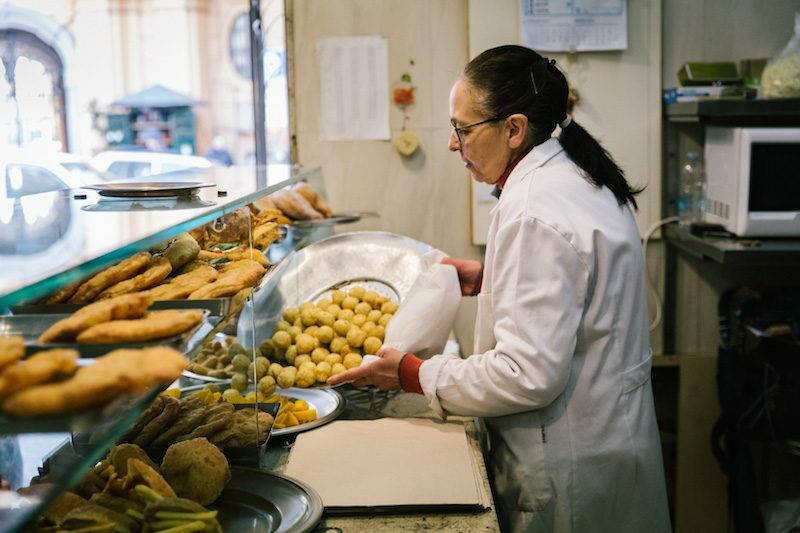 There are three main elements that make up a traditional Neapolitan cuoppo: The simplest yet most important is the pastacresciute, also called zeppolelle, small pieces of fried pizza dough. 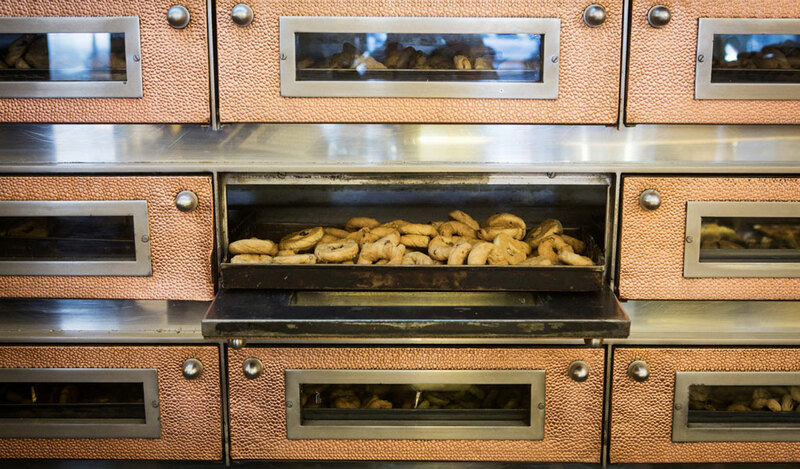 Although the dough is made with only water, flour and yeast, it becomes something singular when fried. 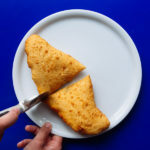 Then there is the panzerotti, a soft potato croquette filled with salami and mozzarella. 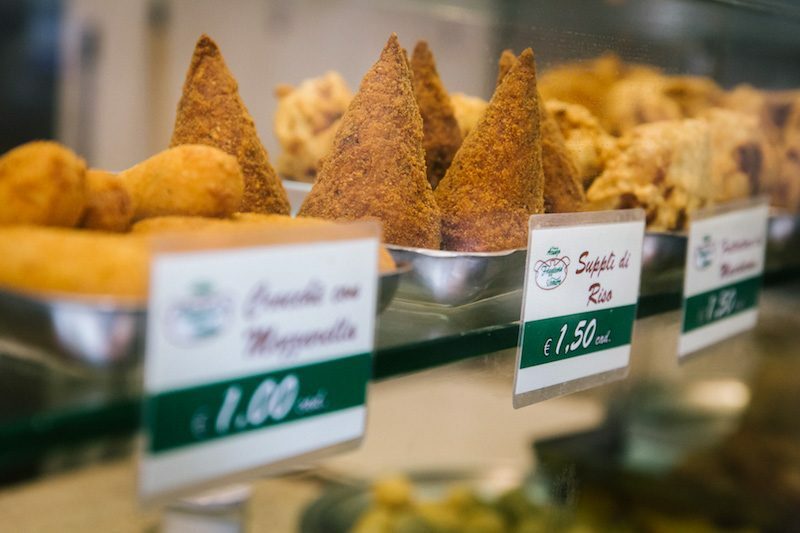 Finally, the cone wouldn’t be complete without a few arancini, golden and crispy rice balls. 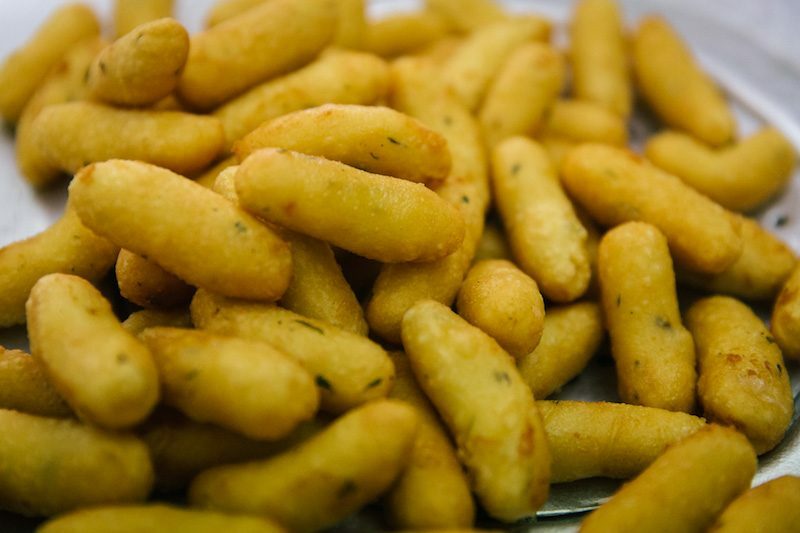 One of the best cuoppos in Naples can be found at Friggitoria Vomero. 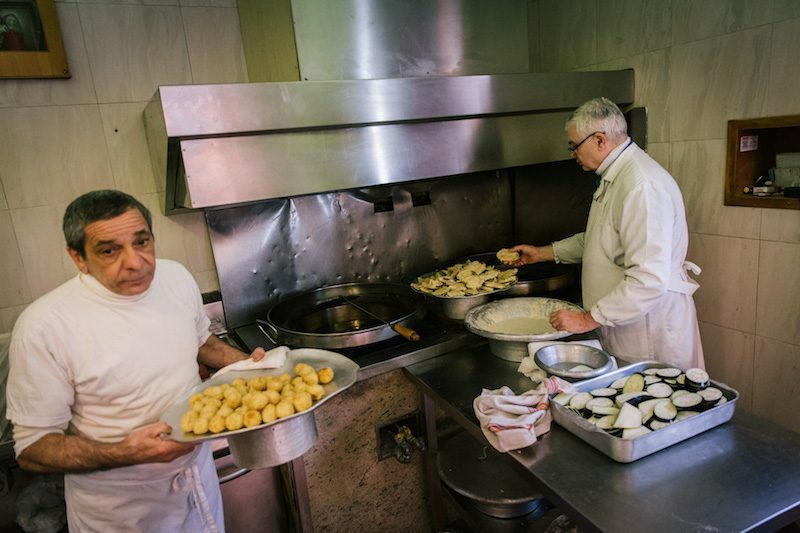 This fry house on Vomero Hill is an institution, bringing happiness (and greasy fingers) to generations of Neapolitans since its opening in 1938. 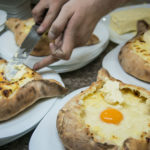 The historic eatery is located on Piazza Fuga, not far from the funicular that connects the neighborhood to central Naples. 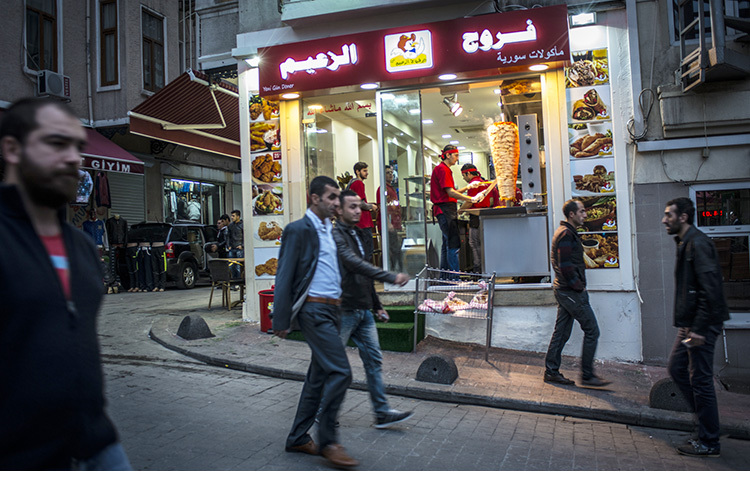 Luckily for Vomero, their only competition can be found in the old city, which is home to the fry houses Port’Alba, Bellini and Di Matteo. 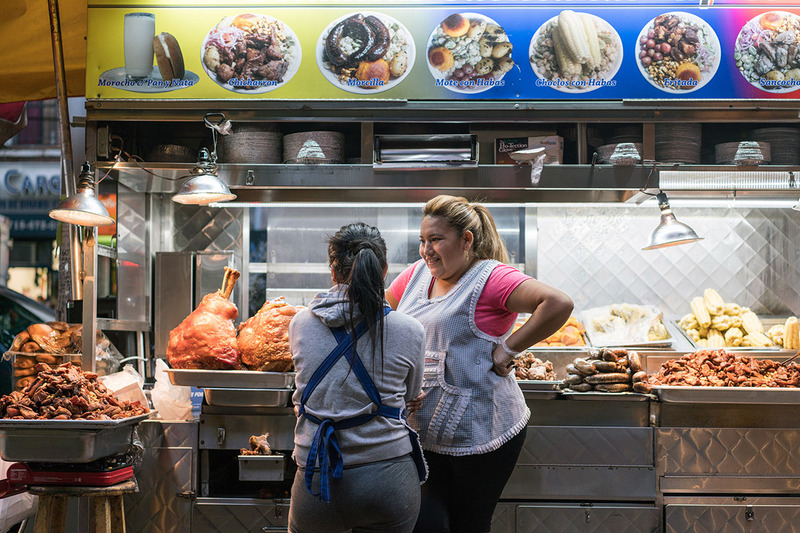 In this leafy, middle-class neighborhood, Vomero is the be-all, end-all of fry joints. 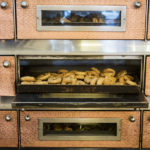 Run by three generations of the Acunzo family (another branch of the family tree is famous in the Neapolitan pizza world), Vomero continues to use the secret recipes of the founder, Raffaele Acunzo. Today, his children Filomena, Antonio and Patrizio are in charge, but little else has changed. 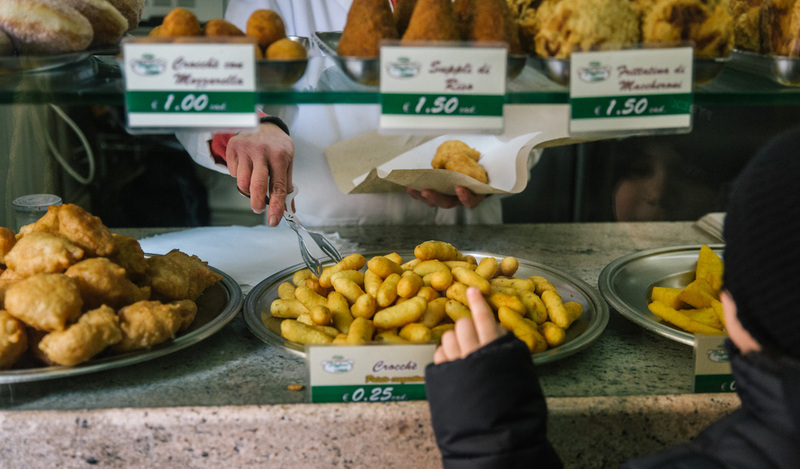 For a couple of euro, you can still buy the standard cuoppo filled with pastacresciute, panzarotti and arancini. 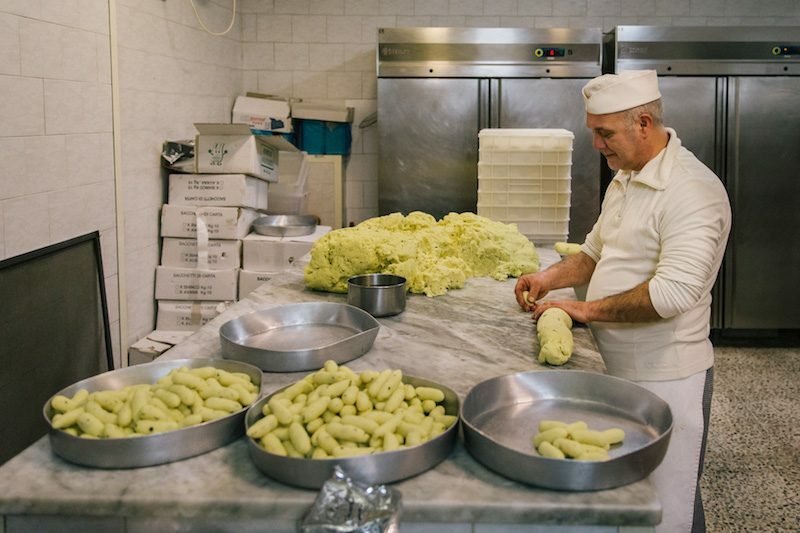 Fifty-two-year-old Antonio is the first to arrive in the morning; he prepares the dough and all the ingredients. 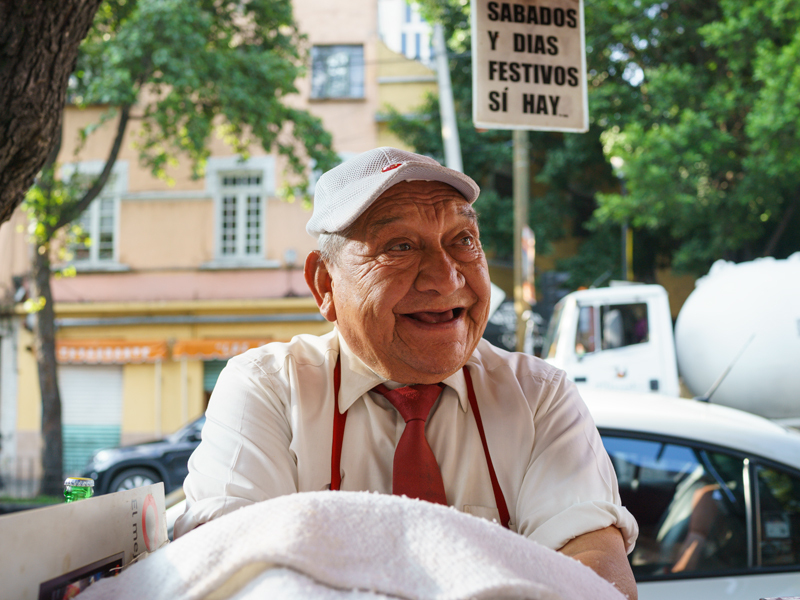 Filomena, aged 55, serves customers with rapid movements and great kindness. 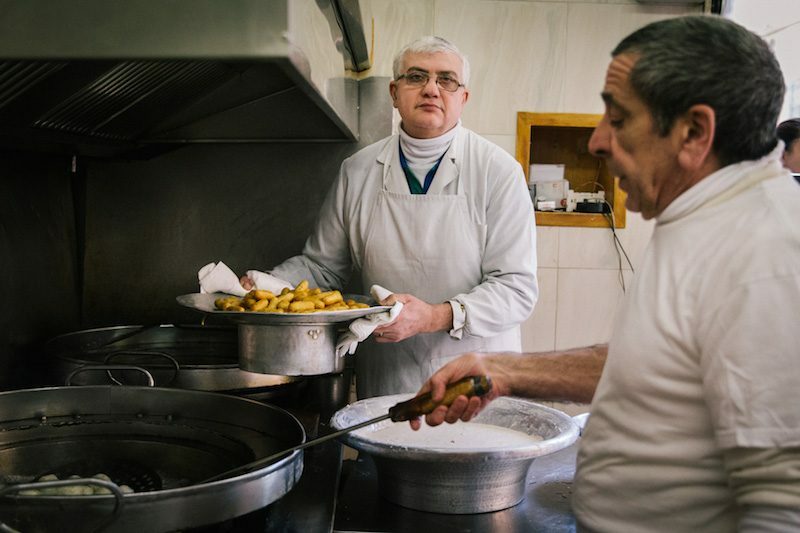 She is very proud of their fried food. “The quality of the products and the constant changing of oil are our secrets to success,” she says. In addition to snacks, Vomero also offers full meals. 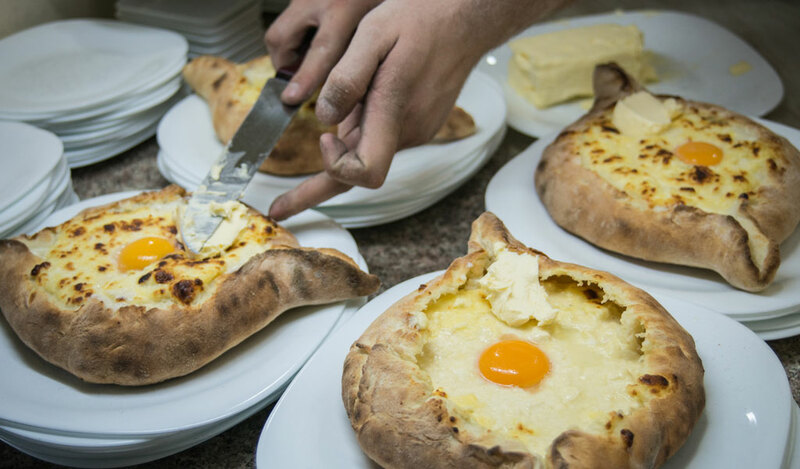 We recommend the crostone (a large slice of crusty bread) with mozzarella, the supersized version of arancino (rice balls) or the frittatina, a fried omelet made of tagliolini pasta and béchamel sauce. But the queen remains the pastacresciuta. 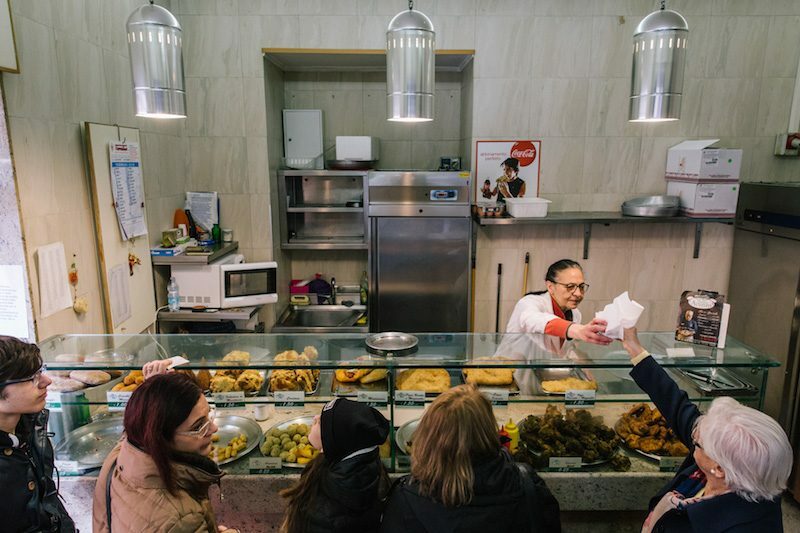 We are mesmerized watching Antonio throw the small portions of dough into the boiling oil over and over again. 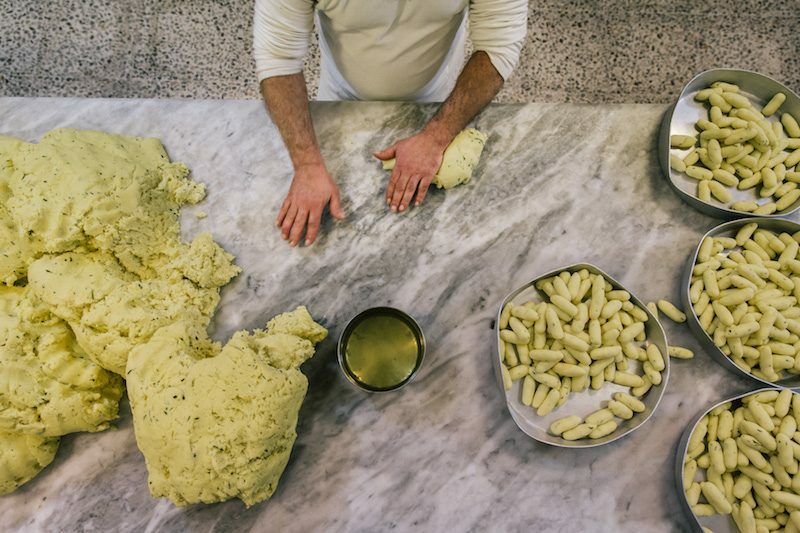 In the oil, a miracle takes place and the simple pasta dough becomes crispy on the outside and soft on the inside.